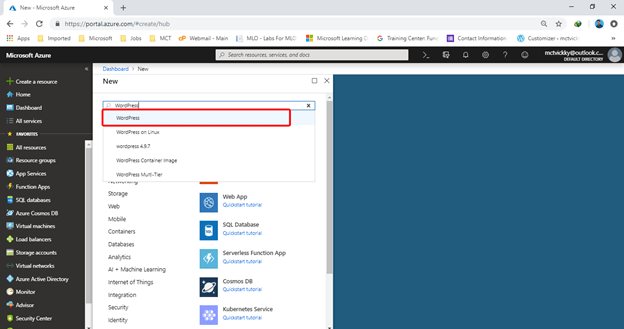 In this article, I’m going to show you how to install WordPress on Microsoft Azure hosting. We will install the WordPress certified by Bitnami. 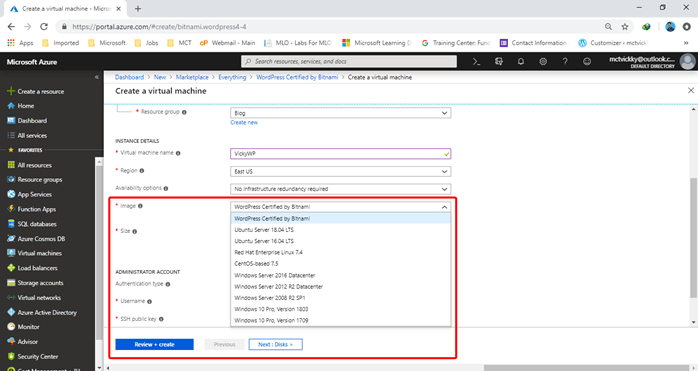 Microsoft Azure offers several WordPress options by default. 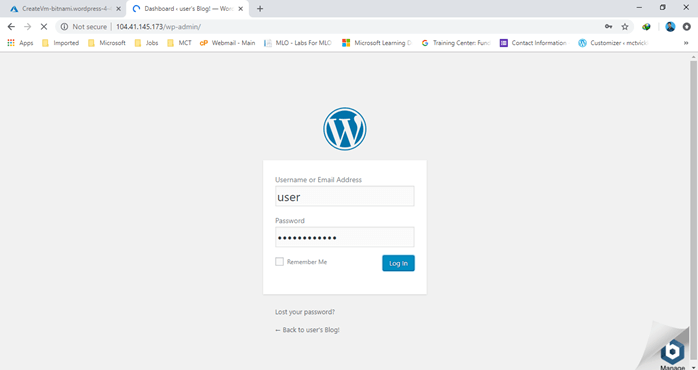 In this demo, I’m going to use WordPress certified by Bitnami. 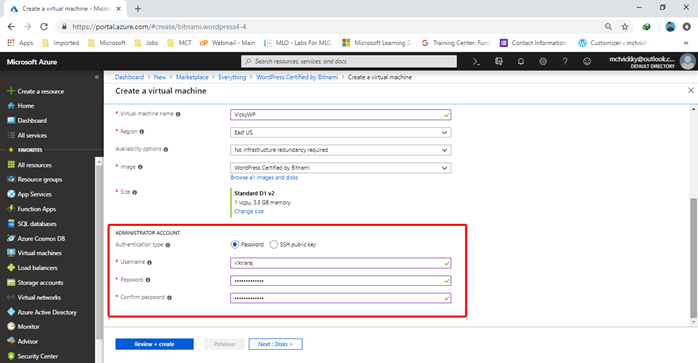 Bitnami is a platform that supports multiple cloud services, such as - Azure, Amazon, Google Cloud. 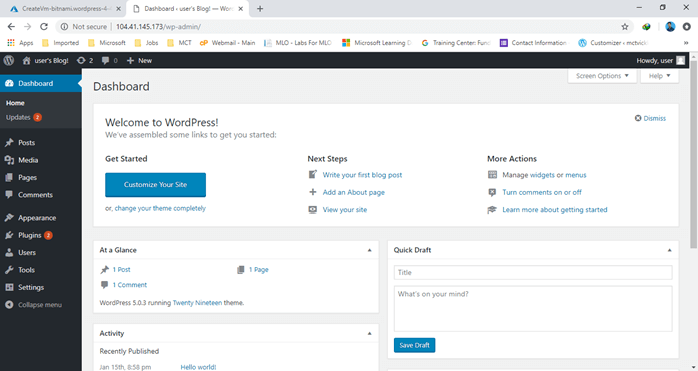 It’s a very simple installation solution for WordPress and makes it very easy to install and configure WordPress in the cloud. Before you install WP, I suggest you learn about Bitnami for a better understanding. 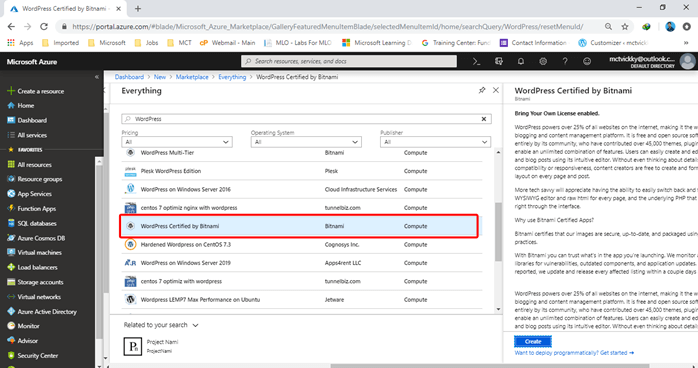 Let’s install WordPress by Bitnami in Azure. On the dashboard, choose to create a resource and type "WordPress". In the WordPress list, select “WordPress certified by Bitnami”, and then click "Create". 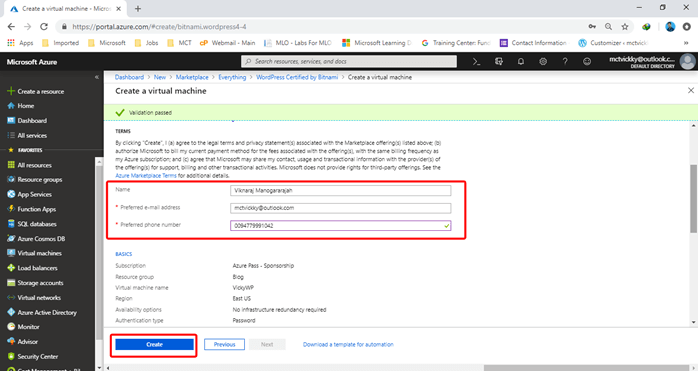 On the "Create a virtual machine" page, enter the name you want to assign to the virtual machine and choose the image that you want to host on the platform. In this demo, I have chosen "WordPress certified by Bitnami". 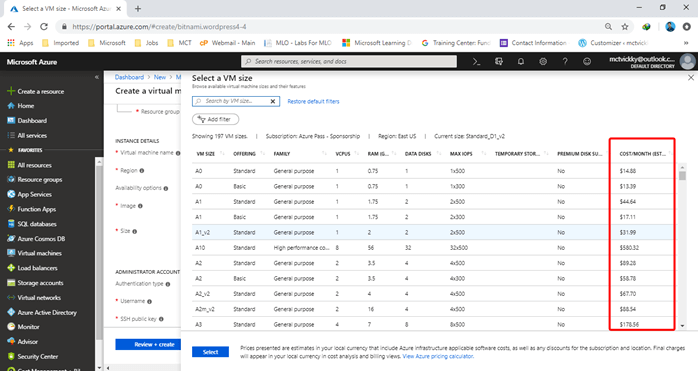 In the Size option, you can select the cost and VM size as per your requirement. After choosing the size, click “Select”. In the Administrator part, you can find the Authentication option. By default, it’s SSH public key. You can change as “Password”, and then enter your Username and Password. In the Validation part, the name and the preferred e-mail address is automatically added but you need to enter your mobile number and then, click “Create”. After the deployment has succeeded, click “Go to resource”. 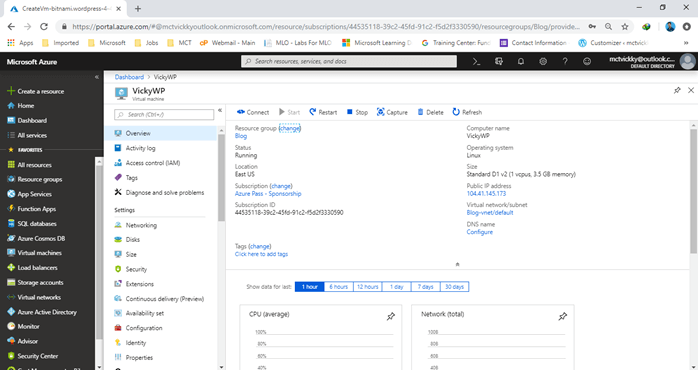 In the VM part, copy your “Public IP address” and paste in the new tab. 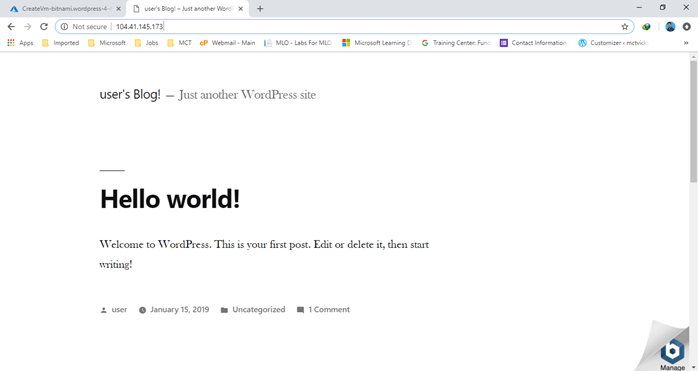 Yes, now you can check your WordPress page. If you want to customize your page, type “Your Public IP address/we-admin” in my demo. My address is “104.41.145.173/wp-admin”. On this page, enter your username and password and click “Log in”. Now, you can "Customize your WordPress Site" as you want. 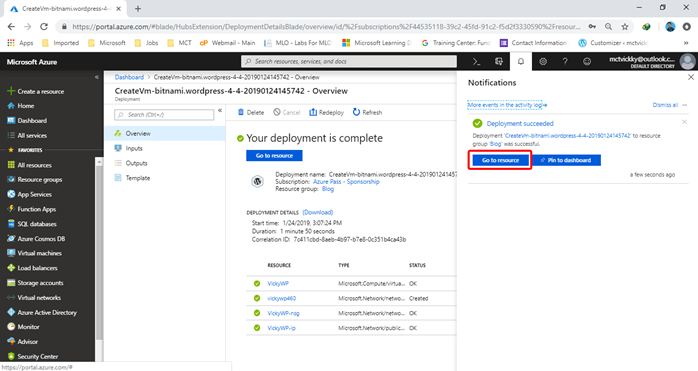 I hope now you understand how to configure WordPress in Azure. In step 9, you’ll face one error message regarding the username and password. In this case, go to your “Virtual Machine”, In the left panel, under the “Support + Troubleshoot” option, you can find “Boot diagnostics”. Click "Boot diagnostics" and then find the username and password.